The NHS agency staff spending cap: Cutting the Branch on Which It Sits? By Olena Nizalova, and Florin Vadean. Research Fellows at PSSRU Kent. The UK has the highest number of agency staff in Europe (about 1.3 million) and the highest temporary agency worker penetration rate (4.5% in 2006), compared to the next highest: 2.5% in the Netherland and 1.8% European average. 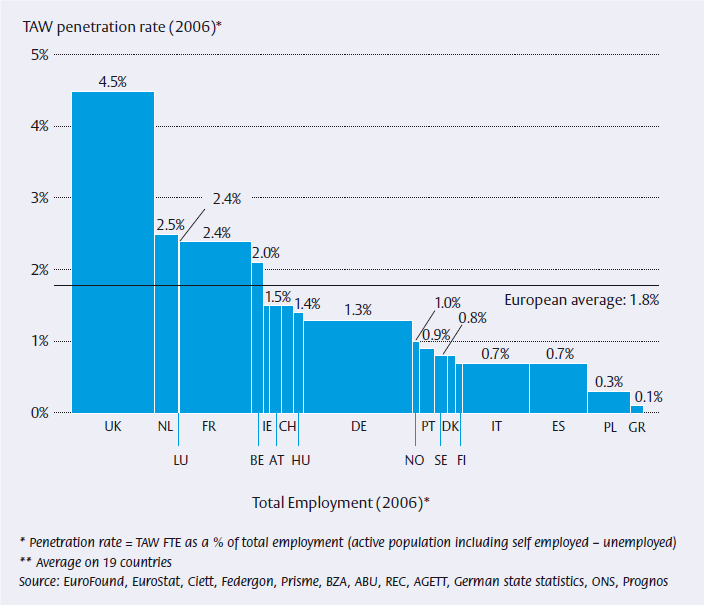 The UK stands out also through the fact that more than 25% of agency workers were employed in the public sector (e.g. 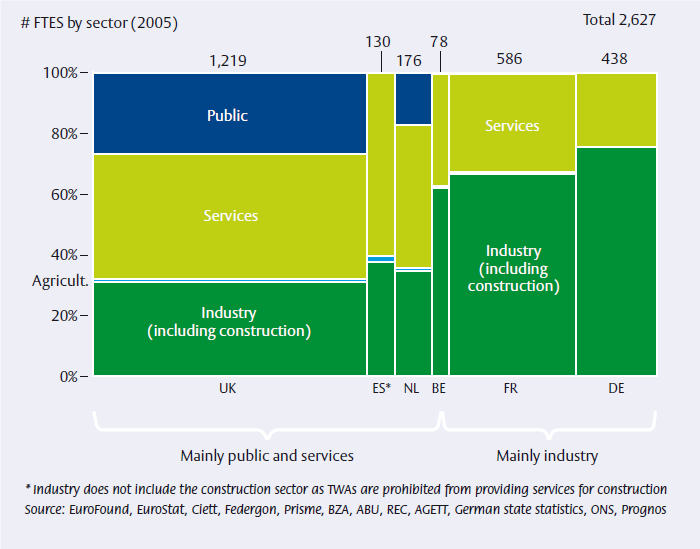 the NHS), while in all other European countries (with the exception of the Netherlands) agency staff are employed mainly in industry and services. Why do NHS trusts rely on agency staff? The main reasons for the NHS relying on agency staff are: on the one hand, chronic staff shortages related to low pay and restricted supply of newly trained staff and, on the other hand, short-term demand fluctuations in health-care services. In this context, agencies have been offering a convenient mechanism of dealing with shortages. According to the economic concept of labour shortage (i.e. excess demand over supply of labour at the current market wage), a long-term increase in the supply of medical and nurse labour can be achieved only by increasing wages to an ‘equilibrium wage’. That way, more medical/nurse workers are attracted to the sector until the supply of health-care services matches demand. However, as NHS trusts cannot discriminate with regards to pay, the ‘equilibrium wage’ will have to be paid to both new and current workers, with the bulk of the extra labour costs having to be paid to current staff. By procuring labour from temporary employment agencies, the NHS avoids the need to increase wages to current workers and pays higher hourly rates only to the extra staff needed to meet the volatile demand. By combining these two mechanisms, the NHS may be avoiding higher staffing costs. More research is needed on the elasticity of labour supply by NHS staff type, as well as estimations of equilibrium wages and the related cost to the NHS to employ staff on permanent contracts at equilibrium wage. Most agency staff are procured by NHS trusts through so-called framework agreements (e.g. the National Collaborative Framework for the supply of Nursing and Nursing related staff). Taking advantage of bulk buying, trusts were able to negotiate (pre-Nov 2015) hourly rates of on average 80% above the basic hourly rates for the NHS staff on permanent contracts. While, at first glance, agency rates seem quite generous, one should not regard the difference as unambiguously representing the profit margins to private agencies. Once salary oncosts (i.e. employer’s national insurance and pension contributions – about 15.4%) and effective hours worked are taken into account (i.e. about 20% of contracted hours are in fact bank holidays, annual leave, sickness absence, and training days), agencies were left with a margin of about 18%. From April 2016 agency hourly rates will be capped at 55% above the basic NHS staff hourly rates. Once salary oncosts and effective hours worked are taken into account, the new operating margin for agencies will be about 8%. At such a margin, agencies will eventually struggle to finance important functions, such as screening and training. Some agencies will be eventually pushed out of the market, while others will reduce operating cost, which can have a negative impact on the quality and/or the job satisfaction of agency staff. Concerns have been raised about the potential effects of the cap on more severe staff shortages and patient safety or significant financial risks in terms of needs for pay increases to existing permanent workers. And this is the situation when 65% of the NHS staff are seriously considering leaving their jobs because of low pay (58%), staff shortages (58%), and the changing nature of the NHS (56%). Is it time to accept market realities and adjust? Although economists have come to a widely accepted recognition that the health sector is quite different from all the other sectors and some government regulation is perfectly justified, perhaps it is time for the government (and us as a society) to accept market realities, even if that means reconsidering the size of the individual contributions or an introduction of additional financing mechanisms. After all, we are getting much more advanced care on a much more accessible basis than in the past.